Seagate is famous hard drive manufacturer, but despite the quality of Seagate’s devices, there might be some issues with Windows 10. Users have reported issues with Seagate drives, Seagate external hard drives, and several other problems, so let’s fix these issues. Seagate Issues On Windows 10 And How To Fix Them? Seagate hard drive quit working – Several users reported that their Seagate hard drive suddenly quit working. If you encounter this problem, be sure to try some of our solutions. Seagate hard drive won’t turn on, show up, work, mount – Various issues with Seagate drives can occur, and many users reported that their drive won’t show up, work or mount. This can be a big problem since you won’t be able to access your files. Seagate hard drive Error code 43 – Error code 43 is relatively common, and it will prevent you from accessing your files. However, you might be able to fix it by using one of our solutions. Seagate hard drive you can only read – In some cases, you won’t be able to write any files to your Seagate drive. If that’s the case, be sure to check if your drive isn’t write protected. Seagate hard drive undetectable, unable to read – Many users reported that they are unable to read their drive. In fact, several users reported that their drive is undetectable. This might be caused by your setting or by a faulty hard drive. Seagate hard drive Access denied – Another problem that can occur with Seagate drives is Access denied message. This is usually caused by the lack of security permissions. Seagate hard drive keeps disconnecting, beeping, freezing, blinking, ejecting, disappearing, clicking, shutting down – There is a wide array of issues that can occur with Seagate drives, and you should be able to solve most of them by using one of our solutions. 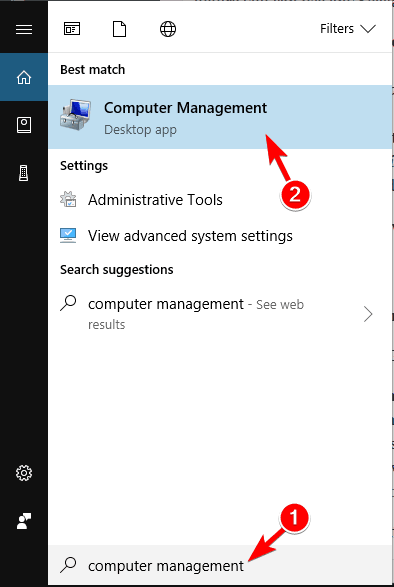 Open Settings by pressing Windows Key + I and go to Apps. In the list on the left, click Apps & Features. Wait for the list of installed apps to appear. 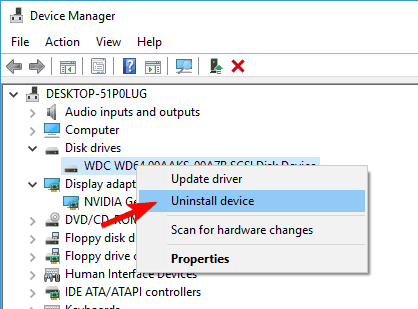 When the list appears, locate Seagate software and click the Uninstall button. Follow the instructions on the screen to uninstall the application. Now go to the Seagate’s website, download Seagate software and install it again on your computer. Updating drivers manually is very annoying, so we recommend you to download TweakBit driver updater to do it automatically. Thus, you will prevent file loss and even permanent damage to your computer. When Task Manager opens, go to Startup tab. 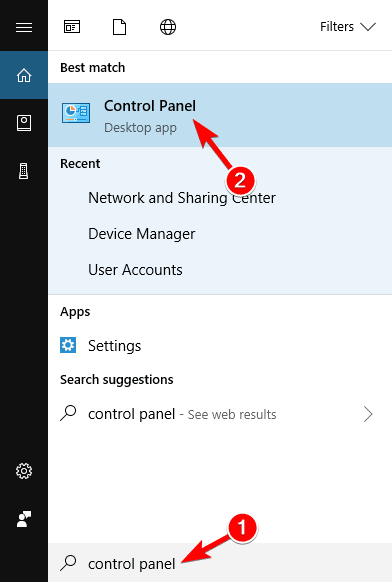 Find OneDrive, right click it, and choose Disable from the menu. Once you disable OneDrive, check if the problem is resolved. Paragon driver can often cause issues with Seagate Backup Plus, and in order to fix these issues, you will have to reinstall Paragon driver. To uninstall Paragon driver, just go Settings > System > Apps & Features and remove it. After doing that, go to Seagate’s website, download Paragon driver and install it again. Find Paragon driver setup file and right click it. Choose Properties from the list. Go to Compatibility tab. Check Run this program in compatibility mode for and select older version of Windows. You might have to experiment with different versions until you fix this issue. Click Apply and OK to save the changes. After doing that, try running the setup file again. Press Windows Key + S, and type Control Panel. From the list of results select Control Panel. Go to the Hardware and Sound > Power Options. In the left pane click Choose what the power button does. Scroll down to the Shutdown settings section and uncheck Turn off fast startup (recommended). Click on Save changes. After restarting your computer, your Seagate external hard drive should be recognized by Windows 10. This is a simple workaround if your Seagate external hard drive isn’t recognized by Windows 10. In order to do this, you’ll need one more USB device that is connected to your computer. In our example, we used a USB mouse, but any other USB device should work. When your computer boots to Windows 10, unplug the USB device that is working, for example, your USB mouse. Connect your USB mouse to a different USB port. Connect Seagate external hard drive to the USB port that was used by your USB mouse before you unplugged it. Now your Seagate external hard drive should start working again. We have to mention that this solution works with Seagate hard drives such as Seagate GoFlex, so if you own GoFlex device make sure that you try this solution. Although this is a simple solution, the only downside to it is that you’ll have to do it every time you start your computer. In Your account section click Sign in with a local account instead. 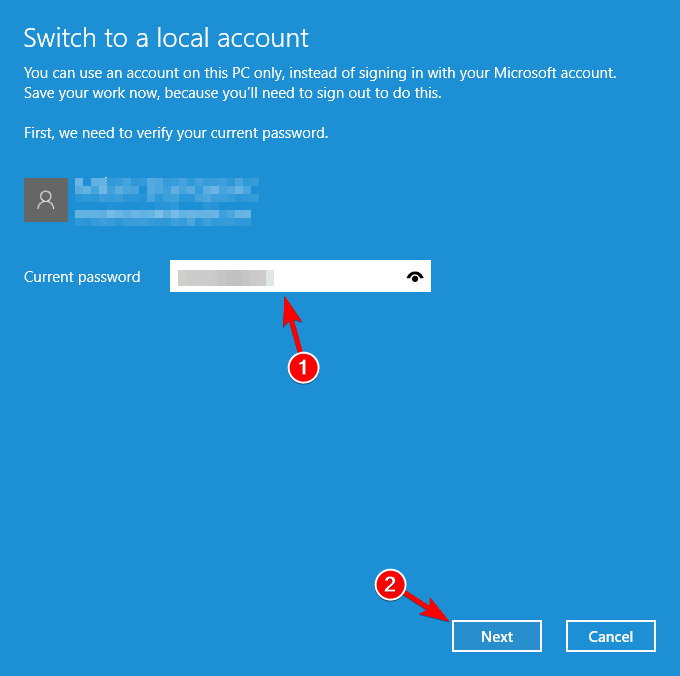 Enter your Microsoft account password and click Next. Now you need to enter new username and password that you want to use. After you’ve done that, just click Sign out and finish. Log in back to your local account. 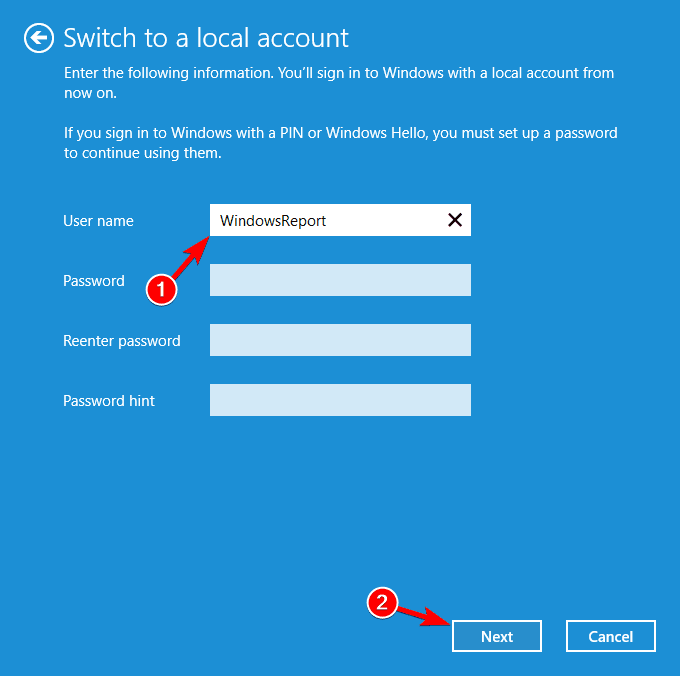 After switching to the local account, check if the issue still appears. Sometimes your antivirus software can cause issues with Seagate Central on Windows 10, and in order to fix it, it’s advised that you check your firewall settings. Users report that McAfee antivirus can sometimes cause this issue, and in order to fix it, you need to navigate to Ports and System Services section in McAfee antivirus and check the Homegroup option. If this doesn’t help, you might have to temporarily disable your antivirus or firewall, or in worst case scenario, you might have to switch to a new antivirus software. Currently, the best antivirus tools on the market are Bitdefender and Bullguard , and if you have problems with your antivirus, we strongly advise you try them out. In Search bar type Computer Management and choose Computer Management from the list. 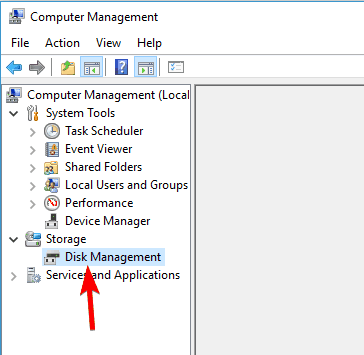 When Computer Management opens, find and click Disk Management. Find your Seagate Central drive, right click it and choose Delete volume. This will delete all files from your Seagate hard drive. Now you should see Disk1 available. Right click it and choose Convert to GPT. Right click it again and choose New simple volume. After doing that, you’ll be able to use your Seagate external hard drive without any problems. After paritioning your hard drive as GPT drive, the problem should be resolved. Start Computer Management and go to Disk Management. In Disk Management you should see a drive without a letter. 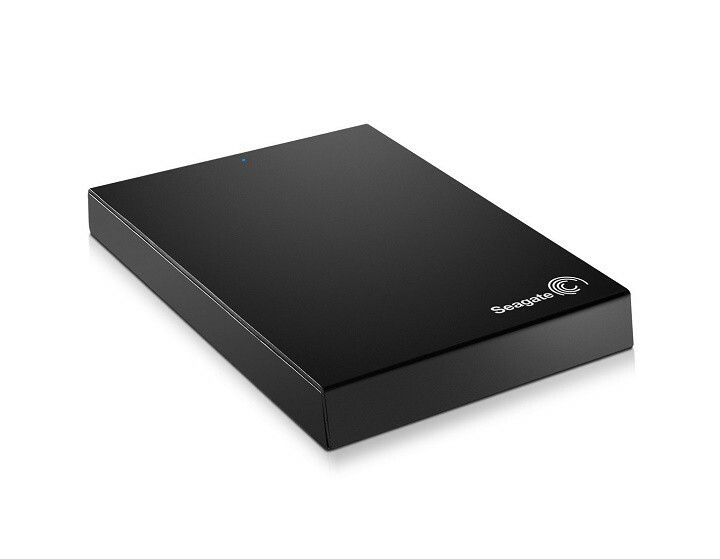 Check its size and make sure that this drive is your Seagate GoFlex drive. Right click it and choose Change drive letter. If this drive doesn’t have an assigned letter, add it. Save the changes and try to access your Seagate GoFlex hard drive again. Once you assign a drive letter to your Seagate drive, it should start working again. Press Windows Key + X and from the menu choose Device Manager. When Device Manager opens, locate your external hard drive and right click it. From the menu choose Uninstall device. Make sure that you check Delete the driver software for this device if it’s available. After the driver has been uninstalled, restart your computer. When your PC restarts, Windows will install the default drivers and the problem should be fixed. Windows 10 users have reported that they are unable to access Seagate NAS (network attached storage) on Windows 10, and if you have this problem, you should try installing Seagate Discovery version 1.40.1041.002. Download Seagate Discovery version 1.40.1041.002 or newer. 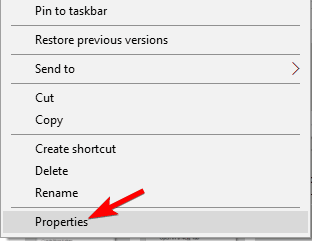 Right click Seagate Discovery setup file and choose Properties. 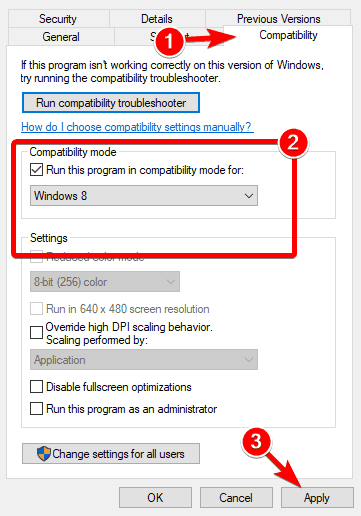 Go to Compatibility tab and select Windows 7 from the compatibility options. 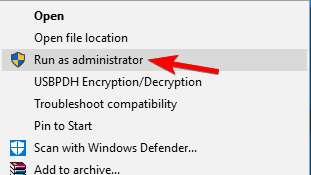 Now right click the setup file and choose Run as administrator. After doing that, your Seagate NAS should start working again. If the issue persists, try running Seagate Discovery as administrator. If you’re still having issues with your hardware or you simply want to avoid them for the future, we recommend you to download this tool (100% safe and tested by us) to fix various PC problems, such as hardware failure, but also file loss and malware. Seagate hard drives have some issues with Windows 10, but as you can see, most of these issues can be easily resolved by following our solutions. Editor’s Note: This post was originally published in February 2016 and has been since completely revamped and updated for freshness, accuracy, and comprehensiveness.